Home » Inside Pain » E-Cigarettes: Yay Or Nay? Electronic cigarettes, or e-cigarettes, are a new craze. Everyone from acquaintances to physicians seems to be recommending them. In fact, e-cigarettes may outsell traditional cigarettes within the next decade. However, there are risks associated with e-cigarettes. Additionally, since e-cigarettes are so new, relatively speaking, not much research has been carried out. This is why it’s important to understand how e-cigarettes work, as well as their benefits and risks. 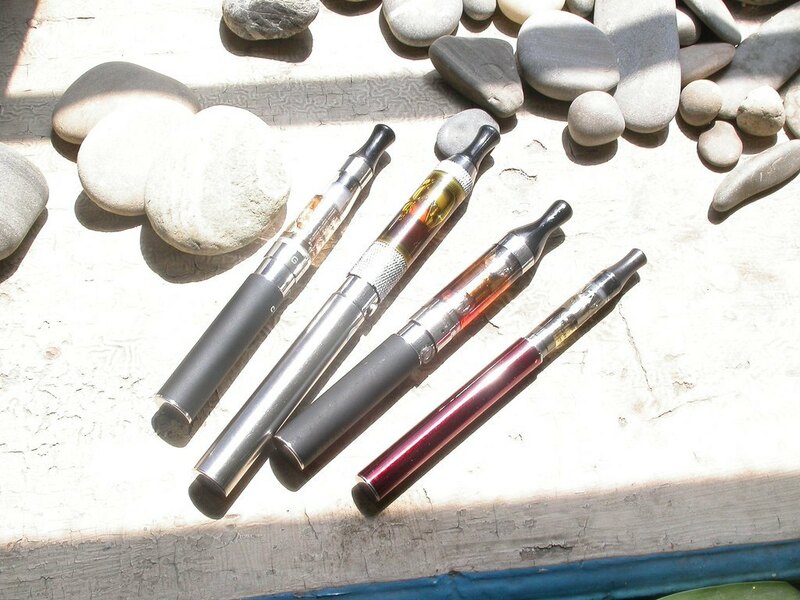 There are three basic elements to all e-cigarettes, regardless of brand: a heating element, a cartridge, and a battery. The cartridge holds liquid nicotine, which is the addictive element in tobacco products like cigarettes and snuff. The liquid nicotine in the cartridge is dissolved in a solution of water and propylene glycol. There may also be flavoring agents added. The battery in an e-cigarette powers the heating element. When an e-cigarette user inhales, the cartridge is heated, vaporizing the contents. The vapor is inhaled, which delivers the nicotine. There have been several suggested benefits of e-cigarettes. According to the e-cigarette company Eversmoke, e-cigarettes have a few key advantages over traditional cigarettes. For example, e-cigarettes don’t have the distinctive cigarette smell. Most have a relatively subtle smell, if they smell at all. E-cigarettes are also cost less. While a traditional cigarette requires a flame and can cause burns, an e-cigarette doesn’t. Therefore, while a lit cigarette constitutes a fire hazard, an e-cigarette is no more a fire hazard than a battery-operated electric blanket. Also, someone smoking a traditional cigarette is often severely restricted as far as where he or she can light up, and he or she might also be the recipient of disapproving comments or looks. Someone with an e-cigarette, on the other hand, has very few restrictions and is rarely chastened for his or her habit. Indeed, several of the chemicals in cigarette smoke are known carcinogens, or causes of cancer, and many others can cause damage or irritation to different systems of the body. While the dangerous ingredients of cigarette smoke are well-known, it’s unclear exactly what is in e-cigarette vapor. An e-cigarette cartridge should contain just a few ingredients: liquid nicotine, water, propylene glycol, and added flavorings. However, e-cigarettes are not regulated by the Food and Drug Administration (FDA), so it’s unclear if this is always the case. The technology behind e-cigarettes is so new that scientists are just now beginning to really study them. One recent study looked at the “secondhand smoke” type of vapor produced by e-cigarettes. It was found that there is an “overall 10-fold decrease in exposure to harmful particles” in e-cigarette vapor, which is great. In fact, there are almost no organic carcinogens present. According to the study, this is because traditional cigarettes burn organic material and therefore release organic compounds, but e-cigarettes don’t burn organic material. However, it was also found that e-cigarette smoke still contains some metal toxins, such as chromium, nickel, lead, and zinc. Most were at lower concentrations than in traditional cigarette smoke, but not all. Nickel, for example, was found at four times the concentration as in normal cigarette smoke. The researchers used just one brand of e-cigarette, so the individual makeup of vapor might vary from brand to brand. Additionally, the researchers in this study noted that the metal particles present in e-cigarette smoke most likely come from the cartridge, so better manufacturing regulations might reduce metal toxins. The lack of regulations surrounding e-cigarettes is also raising concerns. E-cigarettes come in a lot of flavors. Some brands even allow users to mix their own flavor combinations. Unfortunately, it’s this variety of flavors that is causing a lot of concern to some people. One potential issue is that some of the flavors, like chocolate or strawberry, might appeal to minors. Because there are not age restrictions on e-cigarette use yet, this could encourage very young individuals to take up e-cigarette smoking and become addicted to nicotine. However, Dr. Nickels does note that he hasn’t had a patient complain of e-cigarette allergies yet. Another component of e-cigarettes that’s not well-regulated is the nicotine. All of this essentially means that the amount of nicotine an e-cigarette (or cartridge) is labeled with is often not the amount of nicotine delivered to the user. It’s also worth noting that while the “secondhand smoke” vapor from e-cigarettes contains a much smaller amount of nicotine than traditional cigarettes, there is still nicotine present. The most important part of this is perhaps the last line: if you don’t smoke already, don’t start using e-cigarettes just for fun. E-cigarettes may be healthier than traditional cigarettes in many ways, but there are still risks, perhaps some risks we don’t even know about yet. The FDA is expected to propose regulations for e-cigarettes soon, which will go a long way toward making sure they’re safely produced. If you smoke and are considering using e-cigarettes to help you quit or reduce your habit, talk to a physician to find the best stop-smoking aid for your situation. Maybe that will be e-cigarettes, or maybe it will be something else. If you do decide to use e-cigarettes, pay attention to your body’s reactions and discuss any potential side effects with a physician. Have you ever used e-cigarettes?